David Cowan�s first book, Navigating the Collapse of Time, introduced readers to the consciousness shift in �reality� that we are currently experiencing. Dowsing Beyond Duality draws on those principles and theories and presents an easy and powerful means to keep our energy balanced in this time of great change. Working with Erina Cowan, David Cowan presents a comprehensive course based on the Course in Miracles principle that we know all we need to know within our divine selves. They teach us to use the science of spiritual dowsing to access physical, mental, and emotional healing. Dowsing Beyond Duality goes well beyond just getting �yes and no� answers from a pendulum. The Cowans show how to use the pendulum�not only to find lost objects or make daily decisions�but also to deepen one�s self-realization, to move beyond the duality of the third dimension, and create positive change in one�s life and in the world. With more than 75 charts, the Cowans guide readers through specific movements of the pendulum that release limiting beliefs and unconscious resistance. Dowsing Beyond Duality shows readers how to use spiritual dowsing to deepen self-realization and find truth and peace of mind in their lives. Erina Cowan has a background in Integrative Medicine and currently practices many healing modalities as a Licensed Spiritual Health Coach including Sound and Light Therapy, Quantum Biofeedback and Spiritual Dowsing. 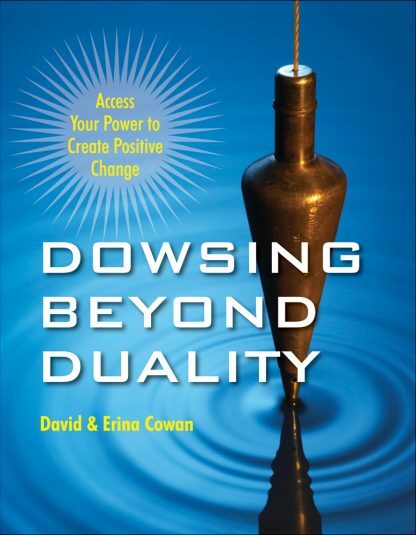 She is co-author of Dowsing Beyond Duality and speaks to audiences internationally on alternative healing topics. Along with her husband David she teaches classes that are designed to empower people to heal themselves and access their greatest potential through simple, natural healing techniques such as Dowsing.